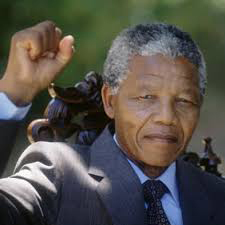 People in Down District can express their condolences at the death of the former South African president Nelson Mandela by signing a book of condolence. The Books of Condolence are located at Down District Council offices, Downpatrick and Ballynahinch Leisure Centre and Newcastle Leisure Centre. The books will be available for signing during opening hours and will remain open until Friday 3 January 2014. On Monday 9 December, Down District Council Chairman, Councillor Maria McCarthy was first to sign the book and said: ” We’ve lost one of the greatest leaders in the modern era. Mandela through his humility and grace was the epitome of dignity and reconciliation.